Recorded at Regent Studios, New York, N.Y.
Re-mixed at Atlantic Recording Studios, New York, N.Y. If you have,nt heard this album and you are into soul/funk music you need to listen and learn from a real master talent like you,ve never heard before. 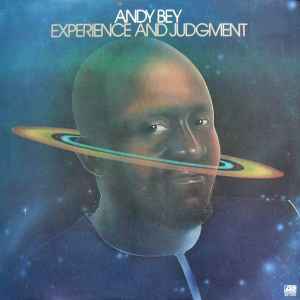 Andy bey's vocal projection that is both high pitched and bass low at the same time has to be heard to be believed also the lyrical content adds another bonus very few albums are made like this, it is an amazing full length from start to finish tour de force, prepare to be overwhelmed also he adds another dimension by transcending what you could call normal vocals by adding an element of meditation to his vocal expression on tracks "Tune up" and "Celestial Blues" just to name a few.